Red Pulse (RPX) is launching an infrastructure update, which will take place in mid-August. On August 12-13 a snapshot will be taken of all RPX balances on the NEO blockchain. All users with RPX deposits at TDAX will receive the same amount in new Phoenix (PHX) tokens after the airdrop has been completed. PHX will be automatically listed at TDAX after August 20. 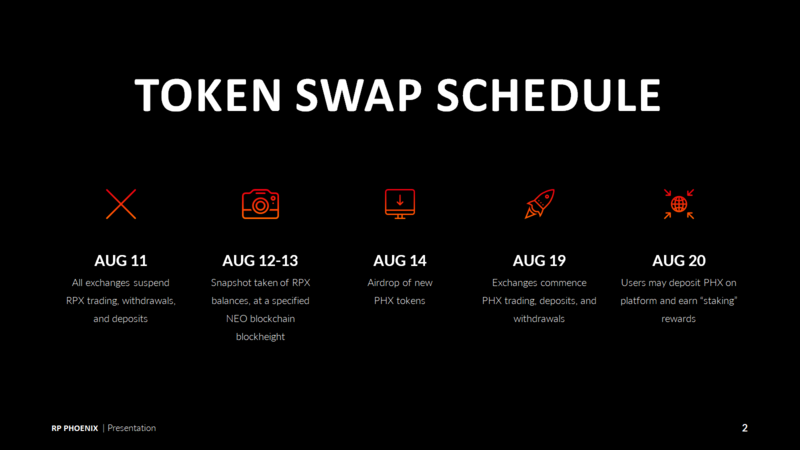 RPX trading will continue as usual until August 11, when the token swap starts. We apologize for any confusion about the process.